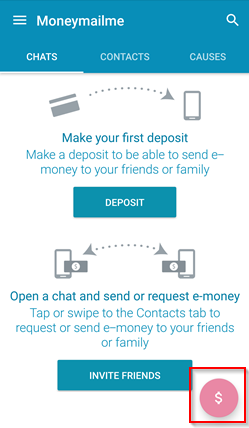 Note: Your order can be in any of the supported currencies of Moneymailme application: CHF, EUR, GBP, PLN, USD and ZAR. 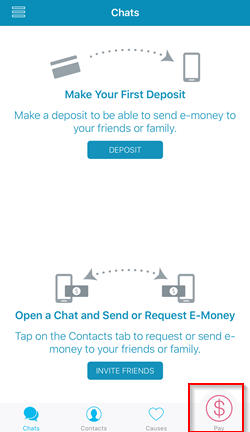 The Moneymailme user who pays for the order can have his/her wallet in any of these 6 currencies. 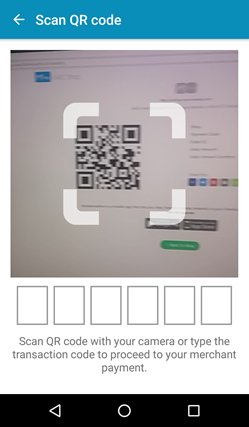 After finalizing the order placement on your e-shop with M3Pay, the customer will get (in his/her browser) a QR Web Page, a web page that has a life duration (see Does an order expire? section for details) and that can be shared in various social networks. Notice the e-shop description, website and logo that you have configured when you created your e-shop. Note: The order will appear on your Moneymailme web account with the status CREATED. Go to Reports and Dashboard sections for details. 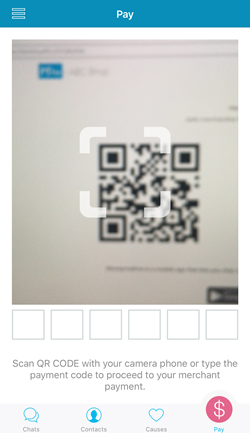 The user then holds the camera towards the QR code in order to make an automated scan; if the scan does not work, he/she can always input the payment code manually in the designated area. 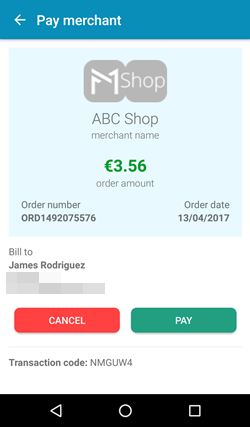 Before the actual payment, the user will be input with a screen with the details of the order, to confirm or deny the actual payment. 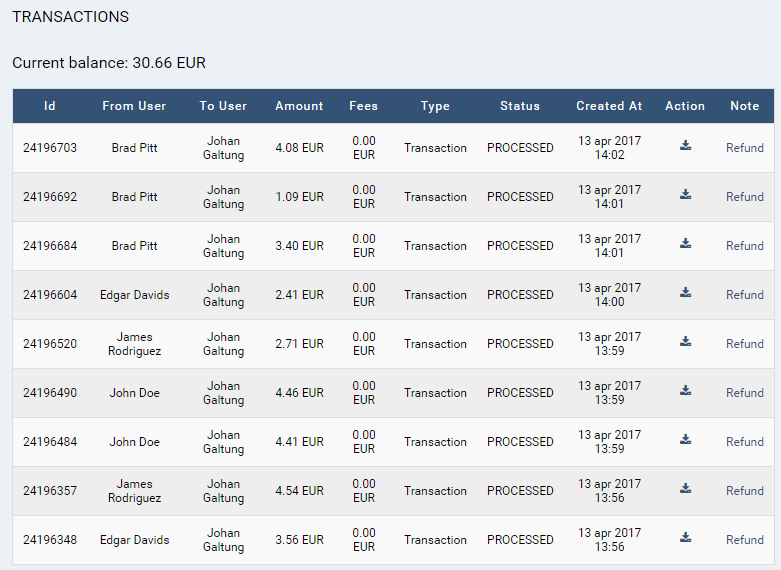 After the user chooses to pay, your order is marked as PAID, your company’s virtual wallet is credited with the paid amount, you will receive an email confirming the payment transfer and a hook is triggered to send the payment confirmation back to your e-shop (through the Silent Post Page configured in the technical implementation section of your e-shop). The customer is then redirected to the Success Page configured in the technical implementation section of your e-shop; this can be your e-shop’s website (for example). 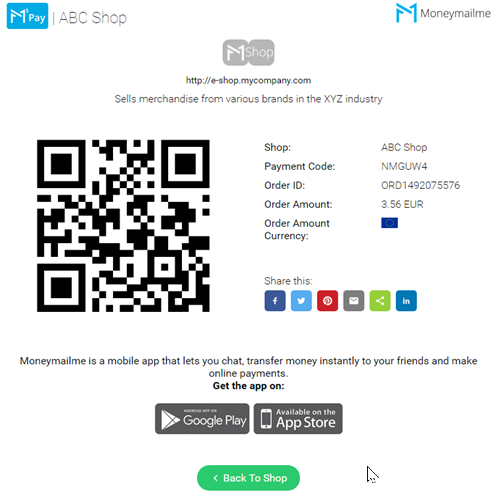 Note: Go to Shops section to understand how to configure an e-shop to accept Moneymailme payments. Since the order payment is a transaction on your wallet, go to Transactions section to see the payment. 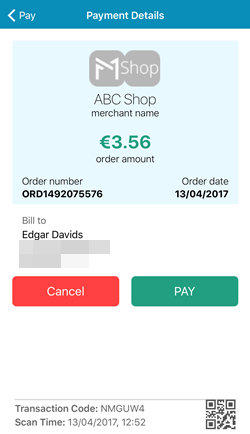 You can now also download a payment receipt for it and send it to your customer (if you like). Note: The order will appear on your Moneymailme web account with the status PAID. Go to Reports and Dashboard sections for details. Note: If no payment is done for a created order during its lifespan, the order will appear on your Moneymailme web account with the status EXPIRED. Go to Reports and Dashboard sections for details.